We are leaders in the Middle-East pipe market and are highly experienced with multi-layer composite pipes in the region. 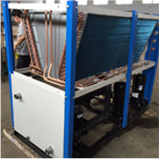 Every single day, tens of kilometres of our products are used for sanitary hot and cold water systems, radiator connection, underfloor heating and industrial applications. Our flexibility to market requirements and our rapid response times, along with our high-quality products, services, and extensive range are just a number of reasons why SUPERPIPE is unbeaten in its field. Our in-house knowledge and expertise in conjunction with our partnerships with worldwide industry leaders, enables us to offer the highest level of services and provide reliable solutions for a wide range of installations for our customers. 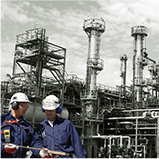 Quality, service and environmental friendliness are amongst our key objectives. SUPERPIPE Middle-East FZCO is a pioneering manufacturer and solution provider for water-piping systems based in the UAE. Specializing in Multi-layer composite pipes (Pert-Al-Pert and Pex-Al-Pex), SUPERPIPE offers a wide range of superior-quality pipes and fittings suited for Residential, Commercial (Healthcare, Hospitality, Solar panel, HVAS, Underfloor heating-cooling) and Industrial applications. Using premium-quality raw materials and the latest machinery from Germany ensures our pipes can tolerate temperatures of up to 95 degrees at 10bar pressure constantly for a life span of 50 years. To provide innovative Multi-Layer Composite piping (MLCP) products and solutions of the highest quality and at competitive market value for our clients, contractors, consultants and developers all across the UAE and GCC. Our vision is to continue being forefront leader in producing high quality piping products and reliable solutions systems globally. At SUPERPIPE, we take great pride in our commitment to provide our customers with the highest level of service for all their water-supply piping needs. This is achieved with providing innovative solutions, using the highest of quality products with a personal level of service. Our one-of-its-kind manufacturing facilities, Western European materials supply chain, together with our experienced and proficiently skilled team are just a few of the factors that allow us to be leading in our field. At SUPERPIPE Middle-East, our combination of the latest in European technology and our extensive engineering knowledge have allowed us to produce a world-class product and participate in unique projects. Our long-standing relationships and collaborations with other premium European companies have allowed us to excel further within the region. We strongly believe in adding value to our community and supporting our future generation and were therefore honored to support the World Skills Competition. We also believe in contributing further to the progress of the region and were pleased to take part in the World Plumbing Council events. We are always thankful for the loyalty of our existing customers who we have had the pleasure of working with over the years and look forward to working with for many more years to come. We thank you for the excellent support you provided to AMB both in the UAE and Qatar, and pleased to inform you that we have achieve outstanding results after using your products. 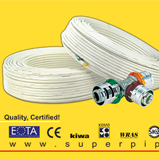 We thank Superpipe for excellent support and great customer service you provided to Riviera Boat in the UAE. Copyright © Superpipe 2017. All Rights Reserved.